SUBHEAD: In the Trump Era work on climate change, alternative energy and conservation will be local. 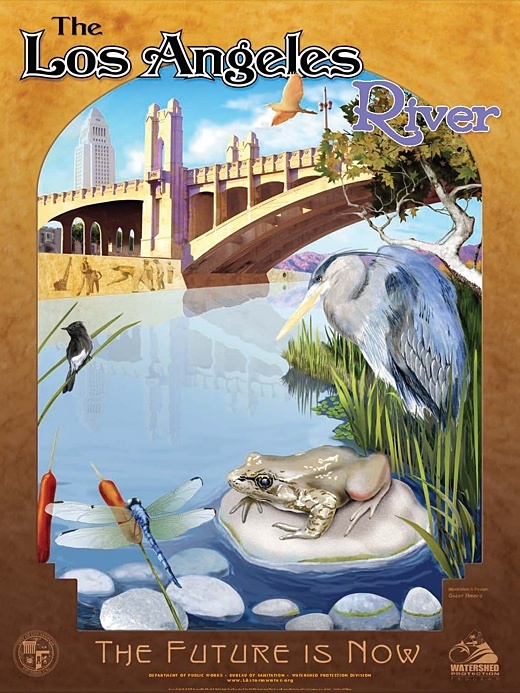 Image above: Poster advocating restoration project of native species in Los Angeles River. From (https://californiawaterblog.com/2014/12/09/new-environmentalism-needed-for-california-water-2/).